June 4th to June 7th 2015. Sponsored by WAFI, Al Reem Bazaar was set up in association with fashion guru and businesswoman Eman Al Falamerzi. Known for her innovative contemporary lines and ability to shape trends, Al Falamerzi has helped define the world of fashion in the UAE. The Bazaar is named after Al Falamerzi’s daughter Reem. In 2015, the Bazaar once again gathered some of the most exciting talents of the Middle Eastern fashion scene, bringing WAFI Mall visitors a bonanza of fashion creations and Arabic perfumes. In 2014, Al Reem Bazaar was successful in pulling in 45,000 visitors over four days. 2015 was bigger and better, with over 30 local fashion houses, startups and designers showcasing their wares to thousands. 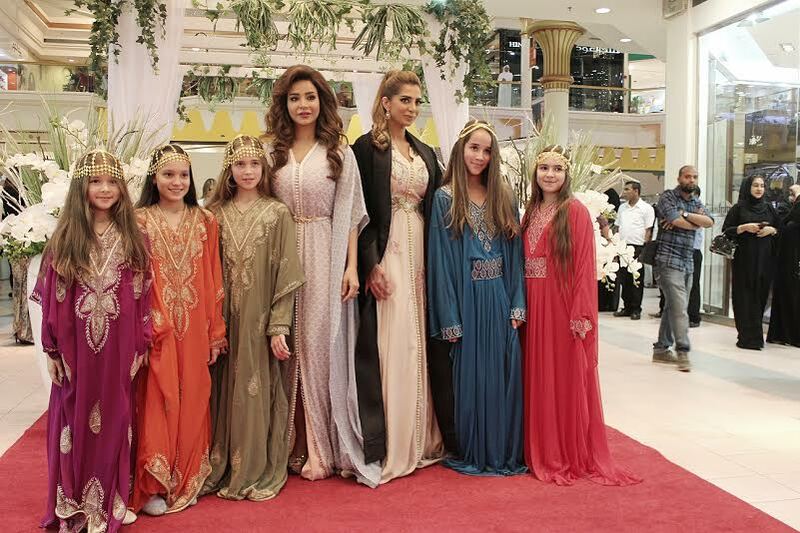 “I’m delighted that Al Reem Bazar returned to WAFI Mall, and I thank the team therefor their support and sponsorship. The idea was to showcase design talent from across the GCC, and combine the journey towards the auspicious month of Ramadan with a family destination of flair or creativity. The response the first year was fantastic, and Al Reem Bazar 2 came back by popular demand with a bigger line-up of home grown fashion and creativity,” Al Falamerzi said. Al Reem Bazar 2 kicked off with a grand opening and ribbon cutting ceremony hosted by Al Falamerzi. Influential society figures congregated at the bazaar across four days, including Lojain Omran, Hikmat Al Kaitoob, Dominique Hourani, Sogha, Rafee3a Ahajsi, Abeer Alyassin, Amira Fadel, Rihab Abdullah and Asmahan Al Nakbi. The final day of the event saw the attendance of Aryam Emarat and HH Shaikha Sheikha Bin Saeed Al Maktoum. atmosphere with some amazing designs on offer,” Al Falamerzi concluded.